Tomorrow, November 28th is an important day. What would the world be like if every person knew how to solve their own problems? What would the ramifications of this be? ...they might stop believing that they "have to suffer" for their perceived wrong doings. And by this, I am ...not negating the law of cause and effect. I am just saying that many people feel they have to live lives of suffering because they were born "bad" or made a mistake they need to suffer for...FOREVER. Does this sound like a pipe dream. I know it sounds so easy. Just chant Nam Myoho Renge Kyo...and chant for what you want. My son, Aaron Michael Silver, has been running since he was in seventh grade. This year he is a senior in college. He has run 10 cross county seasons. His freshman year of High School he went to the state meet as an alternate in a blazing moment of glory that he assumed would be repeated year after year...but sadly, the team failed to qualify for state again while he was in High School. 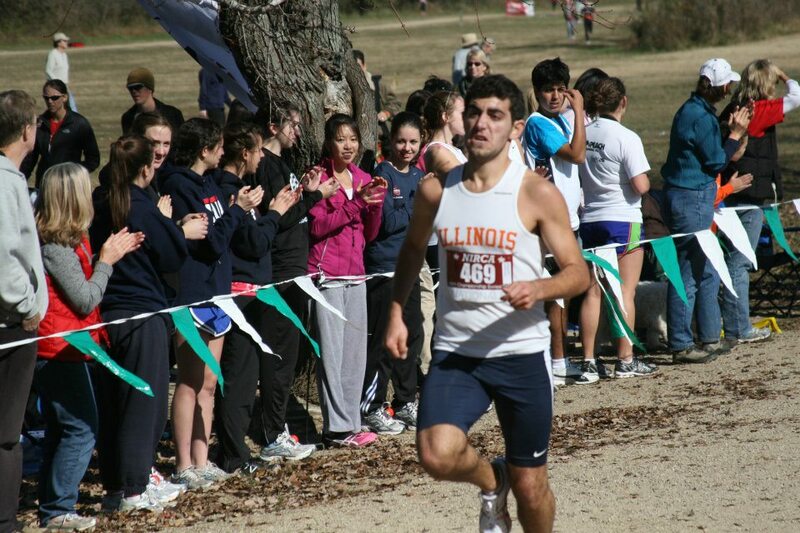 In college Aaron took the University of Illinois Club Team under his wing. As President, he brought them from about 8 members to 80 members, and molded the team to be warm and close like his High School Team under the direction of the legendary coach Will Kupisch or "Kup"
This year Aaron hit paydirt...just in time. Of course, I can tell all of you that Aaron chants...and was chanted for long before he was born. One day I hope to write a book on Buddhist parenting. I am so grateful to have been able to give my children the key to accessing the power of the universe within them...a way to solve every problem and create value for themselves and others. Everything starts with prayer. This year, as a senior, Aaron's season was going so well. Almost every meet he was setting a new personal record for time and speed. On Saturday, at the National meet in North Carolina, with his Grandfather and Grandmother watching, he came in 5th out of about 600 young men, and his team came in FIRST. Imagine that...the total and complete thrill of a personal best...a personal achievement and leading your team to victory as well. The girl's team from Illinois also won...so it was a victory for them all. Aaron is going to be writing to President Ikeda to report to him. What an wonderful example of never giving up....keeping chanting until your prayer is answered...what an incredible experience for us all. And the day before the race, I found out some incredible news about medical school for him. His goal is to be a neurologist. I found out that the school of his choice has him in the "Yes" pile, just waiting for him to contact them and express his interest. Talk about good news....I am just filled with it these days. And one more thing. The race happened to fall on the two year anniversary of my sweet Mommy's flight into her new life. Aaron said he could feel her...and all our support and daimoku...and he ran strong, strong, strong for the full 8k, 24:41 race! As a parent, I don't think there is anything more satisfying than seeing your child break through all obstacles and succeed through their own prayer and determination. Aaron proved something to HIMSELF on November 12th. And no matter what happens in the future...he knows the boundless power of the law...coupled with determination and action. Aaaaahhhh....I reverently appreciate knowing and practicing the chanting of Nam Myoho Renge Kyo to access the universe within! Thank you to all who have brought this teaching to me, and especially my mentor Daisaku Ikeda, and Kate Randolph and dear friend Kathy Fisher and all my friends in faith. This is a victory for us all!!!! I hope you're having as great a day as I am today! I have incredibly fun plans for the whole weekend starting with a fun wedding at Carnivale tonight. I've never been there, but I'm imagining wonderful vivid colors, laughter and a wonderful evening! I'm booked solid this weekend with great events. Tomorrow Aaron, my 21 year old son runs his final Cross Country race in Charlotte North Carolina. I found out some great news about Medical School for him today! When things are finalized I will let you know! And I got wonderful news from Ben, my 18 year old son who is in his freshman year at Miami University of Ohio. We thought he'd be home on the Tuesday before Thanksgiving, but he worked it out to be home on the Friday before Thanksgiving!!!! Yaaaayyy, that makes such a huge difference! I began the day, like every day, with strong, focused Daimoku....chanting Nam Myoho Renge Kyo. Today I was addressing my life and demanding just what I want. I am the Votary of the Lotus Sutra...I am determined to show actual proof of my practice in my life. I have to inspire you, my blog readers, my district, the people I work with and everyone I know. That's why I chose to be born right now. I am very clear on this point! This morning I focused on the deepest, warmest, most fulfilling love in my life. I listed out all the qualities I want in this love, and I chanted to bring forth the love from within my life...the confidence...the radiance...the wisdom to know it when I see it! Aaaaahhhh. "There are many elements involved in a prayer being answered, but the important thing is to keep praying until it is. By continuing to pray, you can reflect on yourself with unflinching honesty and begin to move your life in a positive direction on the path of earnest, steady effort. Even if your prayer doesn't produce concrete results immediately, your continual prayer will at some time manifest itself in a form greater tha you had ever hoped"(Buddhism Day by Day, p. 97). I hope you're having as great a day as I am today! 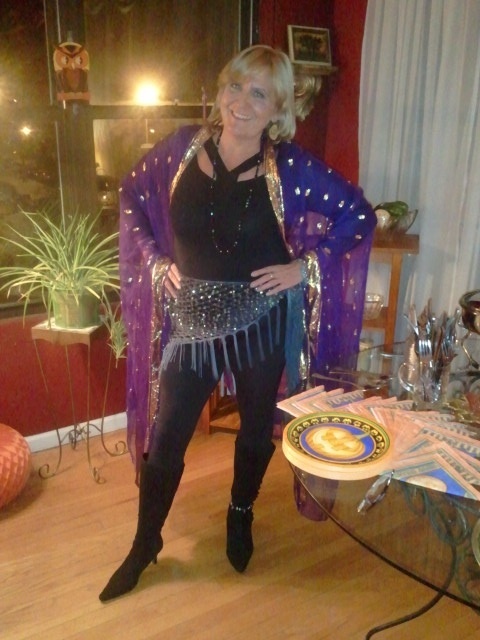 I have incredibly fun plans for the whole weekend starting with a fun wedding at Carnivale tonight. I've never been there, but I'm imagining wonderful vivid colors, laughter and a wonderful evening! I'm booked solid this weekend with great events. On Sunday we went to Kosen Rufu Gongyo at the Chicago Buddhist Center. If you haven't been to your Center, I hope you go! Here we are in November...when it gets colder and darker...and somehow the days seem so, so long. Oh yes, things do pick up closer to Thanksgiving when the boys come home, and then there's the holidays to look forward to...I think. Today, as I sit down to chant, I am making new determinations. First of all, November is the month of Spiritual Independence. On November 28th we will all celebrate the day the SGI was excommunicated by the Nichiren Shoshu priesthood. And I don't mean that tongue in cheek. It really is a day to celebrate. No Buddhist needs a priest to tell them what to do! We are all spiritually independent and it is time to truly claim all the power we have within. Look at what is going on in the world, people are rising up to claim the power that is theirs. This is a concept Daisaku Ikeda has been talking about for years! The people have the ultimate power....no one can stop the people when they are united. 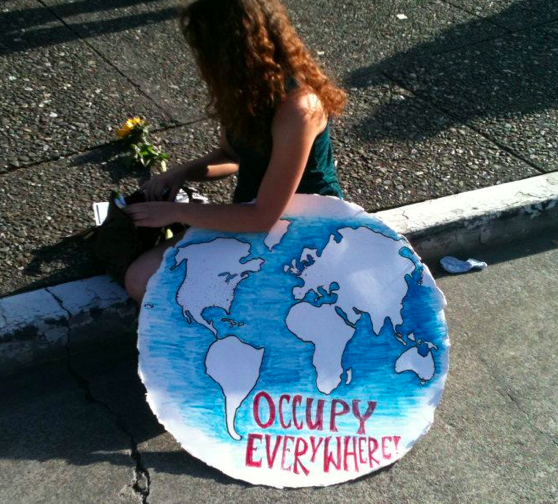 The Occupy movement is already having an effect. The Bank of America decided today not to charge it's customers $5 a month to access their own money. Hurray. What is next? I just read that Occupy protesters are heading to Iowa to occupy the offices of those running for President and demand that they start actually talking about the things that are important to Americans. This ought to be interesting. And what does spiritual independence have to do with all of this? Everything. We are claiming our spiritual independence...we are becoming Buddhas of absolute freedom. I have vowed in my prayer and in my life that no person, no circumstance, no nothing will determine my happiness and independence. I know this may strike you as a radical notion, and I can tell you it is easier said than done...but when I keep my life condition high I feel the beginnings of such a state in my life. If you look back to the beginning posts of this blog in 2009...you'll see how this blog was born...from extreme heartache and the desire to be happy no matter what the circumstances. This does not mean I don't chant for what I desire....no...it means I don't suffer over it...most of the time! So I'm making a fresh determination today, that the next few months are going to shine in my life. I am determined to celebrate my first year living on my own in holiday time and create many new traditions for myself. I may travel...make new friends...have adventures. I will continue chanting for the opportunity to reach as many people as possible through this blog, and by writing books and giving speeches. Please contact me if you have invitations or an agent for me! Most of all I will not feel sorry for myself that my life has changed so dramatically! I made the decision myself to change my life, get my own apartment and begin a new phase of my life. My kids are both at college, and we are divorcing...but that doesn't mean I have to be sad. Through my daimoku I am going to come up with some goals and visions for this season...and I will fulfill my determination to live an inspiring life based on chanting Nam Myoho Renge Kyo...no matter what! Join me! Make your determinations! Free your life from whatever suffering you are experiencing...let's all change our karma....and the karma of our towns, our country and our world through our own inner transformation.